The first time I used a ‘stills’ photo camera for videography was back in 2008 when I purchased the Canon 5D Mark II, one year after its official release date. I can still remember the revolution that beauty of a camera caused in the videography world. Back then my main camera was the tape based Canon XH-A1 and I was a bit sceptical about using a camera designed for photography for professional video work. However, quickly after testing it out on a few projects I fell completely for the camera, mainly for its image capability. Subsequently, I bought more similar DSLR cameras as my second and third cameras. The Canon XH-A1 and similar ‘video’ cameras were effectively in retirement for us at our Viva la Zoom video production company. What made us switch from making videos with professional ‘video’ cameras to making them with professional ‘stills’ cameras? In short, the large sensors they offered allowed stunning images and more creative use of depth-of-field. Were there any compromises with using DSLRs? Yes, indeed, especially on the audio side of things. All of a sudden you had to carry much more equipment with you and it made post-production a bit messier than it should be. After a few years the large sensor technology started to migrate and make a presence in more traditional videocamera formats like the Canon C100, of which we bought a couple and still use on a daily basis today. Cameras such as the Canon C100, C200 and Sony FS5 and FS7 offered a large Super 35mm sensor allowing similar image quality and control over depth-of-field as DSLRs, but also offered much needed features for a videographer such as professional audio controls and imputs, built-in ND filters and Log recording modes. Traditional style videocameras were now back as our main tools of filming. Consequently, while I was running our video business and filming on a daily basis with cameras such as the Canon C100, I was also developing a second life as a street and documentary photographer. Despite starting out using the Canon 5D II for my photography I quickly discovered that they weren’t for me or my style and decided to sell all my Canon gear and invest in the more versatile and portable cameras like the new wave of Fuji cameras. First was the Fujifilm XT-1 which was a great photo camera, but which seemed to have video mode as an after thought rather than being a viable option for professional video production situations. A couple of years later the Fujifilm XT-2 came out. A lovely evolution from its predecessor with a beautiful new XTrans sensor and a whole plethora of options for video work. Since then we have started to use the Fujifilm XT2 for video production in a professional manner. After using it for a few video projects this year I thought I’d share some of what I see as its pros and cons of using it for video work. The Fujifilm XT-2 is a very small camera which packs a tremendous amount of power in its little body. It has an APS-C sensor which is roughly the same as the Super 35mm sensors found on the much larger (and more expensive) cameras such as the FS7 or C200. This is a definite plus for us as we normally take lots of equipment on our videography jobs and having such a tiny but powerful camera means we can pack it as a third camera in a bag, taking up next to no space. 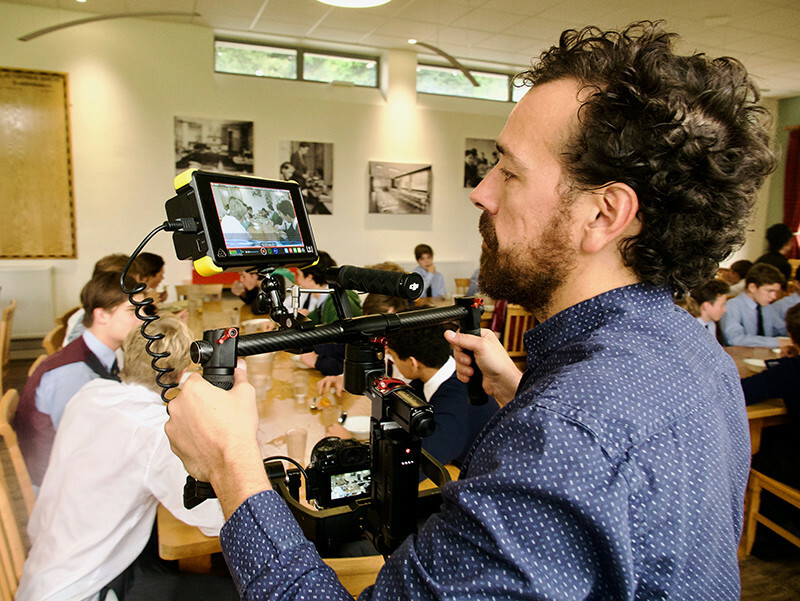 It also means that we can take a great little camera pretty much anywhere and use it for different purposes, such as with the Ronin-M, as a very discreet extra angle at events or conferences, or as a time-lapse camera. Its use with gimbals such as the DJI Ronin-M deserve an entry on its own really as this is where we’ve found it really shines. 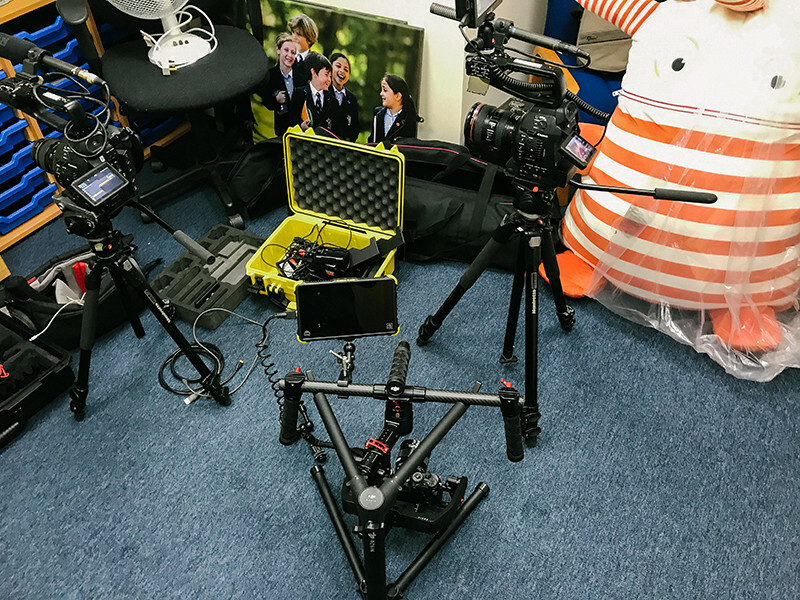 Last year we invested in the Ronin-M steady cam video production system which we originally used with one of our Canon C100. This made the system bit too heavy and I don’t think the rig is designed to hold a camera the size of the C100 as coupled with the monster wide Tokina 16mm-28mm the whole set-up weighs approximately 4KG. That might not sound too heavy at first, but as anyone who’s carried a gimbal setup before knows carrying 4kg of camera gear in your outstretched arms for ten minutes or so at a time is quite a workout! So with the Fuji X-T2 already in our possession it was a no-brainer to test it out on the Ronin-M, and once we tried it, there was no looking back. It makes the Ronin experience much better. It stabilises better than a bigger camera and it doesn’t overheat the Ronin battery. An external recorder also really helps bring the best out of the XT-2 and Ronin-M. We normally use the ATOMOS Shogun Inferno for 4K recordings but we have used a variety of external recorders in the past like the Black Magic Video Assist but we find this less reliable with sync-record and the version we have is the original HD one and doesn’t record 4K. A quick suggestion too is to buy a battery grip for the XT-2 if you’re planning on using it on the Ronin-M as the batteries drain in 4K mode and it isn’t possible to change batteries without unscrewing the Ronin-M plate, which is rather annoying and time-consuming without the grip. When set to record 4K F-log the Fujifilm becomes a monster of a camera and we have used it professionally in many productions. Below is a pretty good example of this which we made for the Bolton Food & Drink Festival. This project required a lot of moving around and capturing the lively atmosphere of the place which meant a camera as small and versatile as the XT-2 on the Ronin-M was the perfect combo, check it out! However, there is a big downsize to this: F-log can only be used when recording to an external source and 4K. So that means no F-log for Full HD or when you set to record internally. There has been many rumours of Fuji implementing this on a future Firmware update but the camera has been out for a while now and no news of this. However, the XPro 2 was originally released without 4K capabilities and it’s getting an update to allow for this in the next few weeks so….fingers crossed! 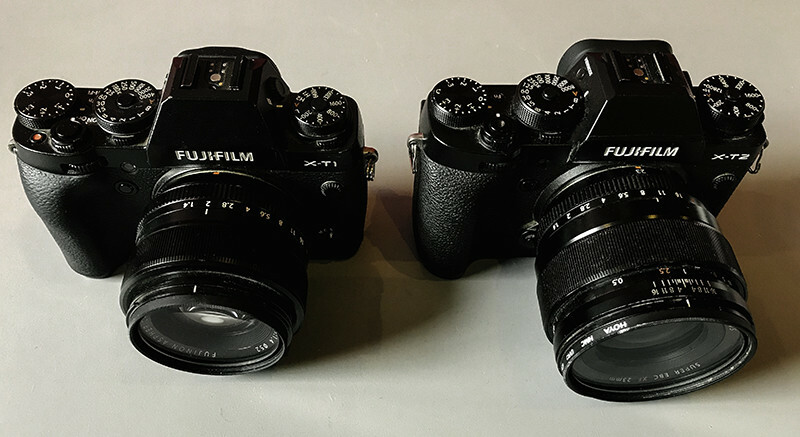 *EDIT (May 18): As of a couple of months ago, FujiFilm has updated the firmware of the Fuji XT-2 to version 4.0 (4.10 now). This update contains a number of great improvements but among them it is the possibility of recording F-LOG 4K (and UHD) video internally on camera which is a massive improvement and makes this camera even better! This basically means we don’t have to carry our external recorders wherever we go and we can use the camera casually knowing that we’ll be recording top quality, easy to grade video content. This might sound a bit obvious but it’s one of the reasons I moved over from Canon to Fujifilm in the first place. All the camera functions are right there in front of you and they are controlled by actual physical buttons and knobs, not wheels or digging down obscure menu options. 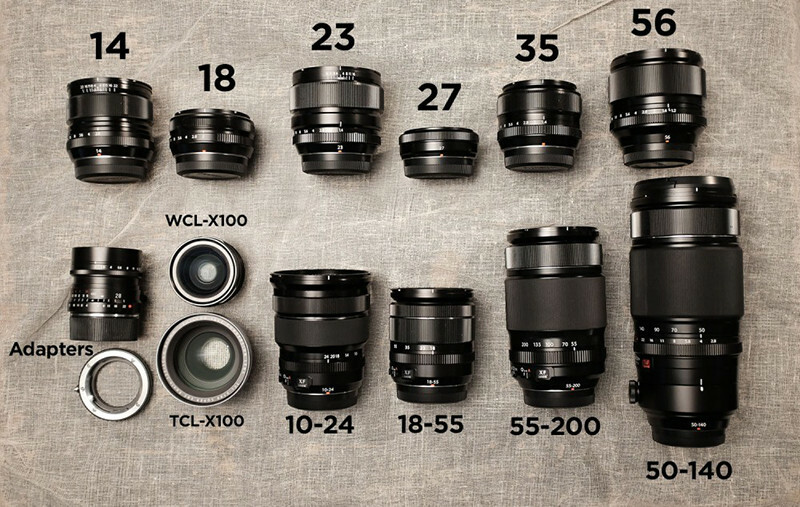 There is a knob for ISO, other for Shutter speed and the aperture is in the ring in most Fuji lenses. This makes the camera very intuitive and user friendly. Nice. The Fujifilm XT-2 has plenty of physical dials, a nice change from wheels and menus! However, one of the not so good things about Fuji lenses (the first generation at least) is most of the prime lenses lack IS which is a problem for video. 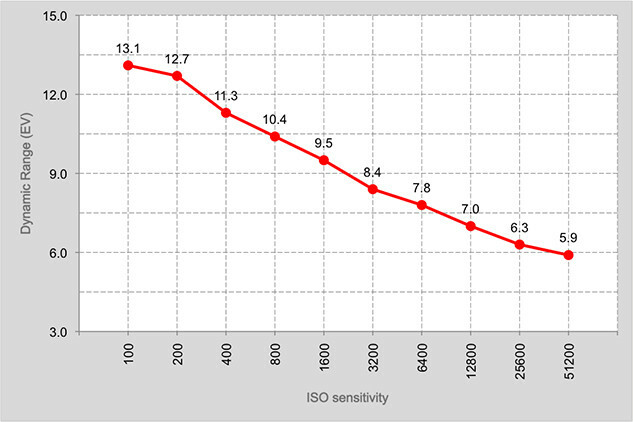 This is area where Canon lenses have the upper hand as more and more of their lenses have image stabilisation as standard. Whereas makers such as Sony and Panasonic offer in-built stabilisation on many of their camera bodies, which again the Fuji cameras do not, making handheld or run-and-gun style shooting with the Fuji cameras much more difficult. The screen is one of the strong points of the XT-2. On the XT-1 you could only tilt it in one direction but Fujifilm went the extra mile to add a second direction on the new iteration of the camera. For a photographer this is essential this days even though the strong point of the XT-2 is the EVF, having a nice looking and shard LCD screen is great. This is especially useful for low shots or complicated angles. Fujifilm XT2 for video production. The new tilt screen is great! I wasn’t sure about including this as a point as no photography camera really prides itself on its audio abilities and is a common fault in many mirrorless or DSLR cameras. Most of them have only a minijack input and a built-in mic that processes the audio to a level not up to professional standards except for use as a wild or reference track. 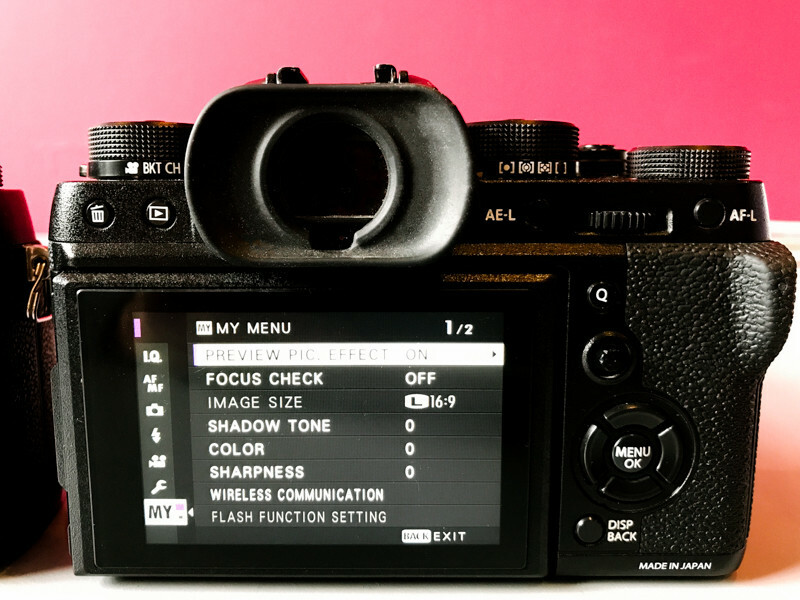 However, one noticeable aspect of the XT-2 audio features is that I don’t think the camera has an auto gain option which makes it hard to control the levels without scrolling through the menu system. Currently the only way to have autofocus on the XT-2 is to use the Continuous mode (C mode) where the camera is constantly looking for a focus on the selected focus point. The ‘C’ mode is very hit and miss, noisy and with a clear focus on photography. To be perfectly honest we never use this option and instead tend to use wide angle lenses and set to a hyperfocal distance if on a gimbal or use manual focus with the prime lenses. Would it be nice to have? Yes, of course, it would but I don’t think it will ever happen and it’s not a deal breaker for us. This is important for us when considering to use the Fujifilm XT2 for video production as we want a ‘inexpensive’ camera to be used as ‘extra’. As I write these lines, the FujiFilm XT-2 retails at around £1599 which for a camera that packs that amount of power, It’s a pretty good price. Other cameras at the same level are priced much higher like the A7S II which retails at £2499. The Sony is a full frame sensor which has the advantages of better ISO performance and allows a shallower depth of field, but whether this is a pro or con is subjective really as it depends what you’re filming and if you really need much shallower depth of field than an APS-C sensor offers. So just to recap, for any videographers or freelance camera operators willing to add an extra camera to their list of equipment, we think the Fujifilm XT2 for video production can be a great idea for all the reasons listed above. We will never use this camera as our first camera or we would never think of using it to film a conference for example but if you want a camera that you can always have with you at any job that is lightweight, portable and has a great image quality then the XT-2 is a great camera. Great review and very helpful. Thanks a lot. This was a great review. I was hoping you could clarify or expand on a couple of things. What did you mean when you said you wouldn’t use it as your first camera. When you shot the Bolton food market video, wasn’t it your first camera? Or was that just for a test? Also, regarding the autofocus, when you said wide angles set at a hyperlocal distance, do you mean say f/11 or f/16? I do use the XT2 for professional video too, but I have one problem. I hope you can help me. Most of the time I use primes – no problem there. Some jobs need a zoom lense (currently use the 18-135mm ) and there I have the struggle with the focus. I manually focus and when I zoom in or out the focuspoint moves a bit/ refocuses. What kind of gimbal are you recommending for the XT2? If you assign one pof your dials (I use Rear Dial) to “Mic Level Adjustments”, you can control the mic level gain during the recording. Very useful. Thanks for sharing your experinece! thats a great tweak, Jan!! brilliant!